Cultivation Guides: Feeding Sundews |Sundews Etc. 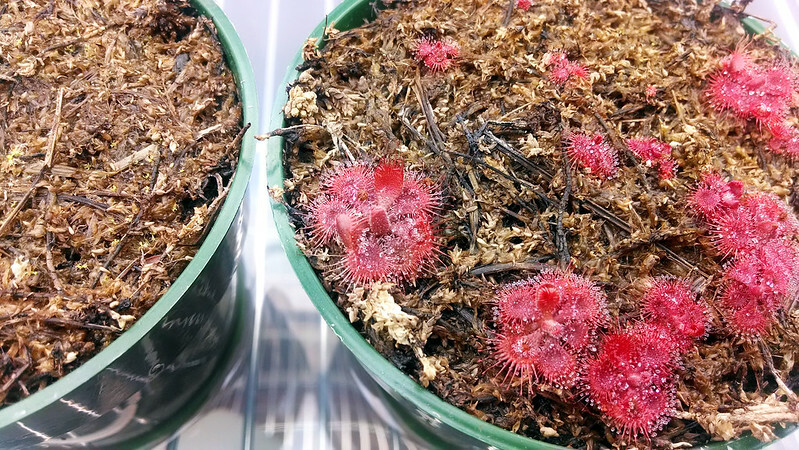 Regular feeding is one of the best ways to help your sundews along. 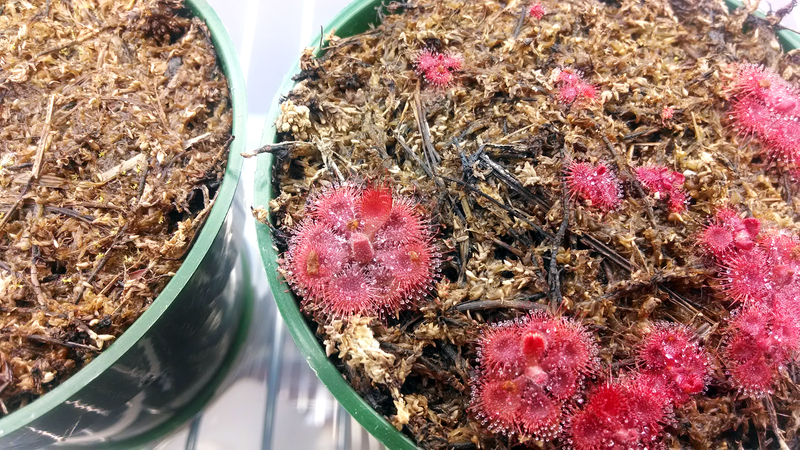 Feeding encourages faster growth, more frequent flowering, higher quality seed, and in the case of species like D. burmannii, post-bloom survival. It's also fun! Some plants curl dramatically over their food within minutes or hours, and new growth can seem to explode out. Today I decided to feed my plants again. So far I haven't systematized this process – I usually feed whenever I think of it, and when I feel like it's been a week or two. In the future I intend to have some app or document as a guide, but for now I sort of wing it. You don't need much to feed the plants. More than half this amount was left over. I use beta fish food for my plants, since it's made of krill, and krill are the bugs of the sea. I'd like to also get some dehydrated bloodworms to try. 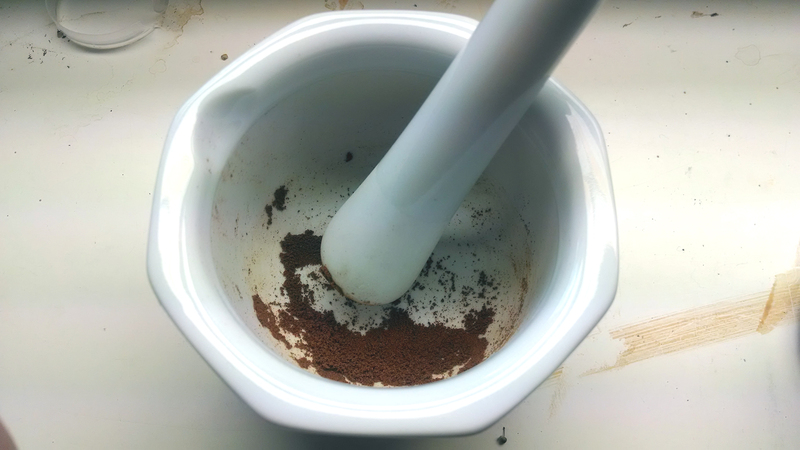 In the mean time, I grind up my pellets into a powder in this nifty mortar and pestle, since the pellets would be too large for many of the more delicate plants. This mortar and pestle was about $7 at Amazon. The main problem with a fine powder like this is conveying it from toothpick (my current applicator of choice) to the plant without spilling. 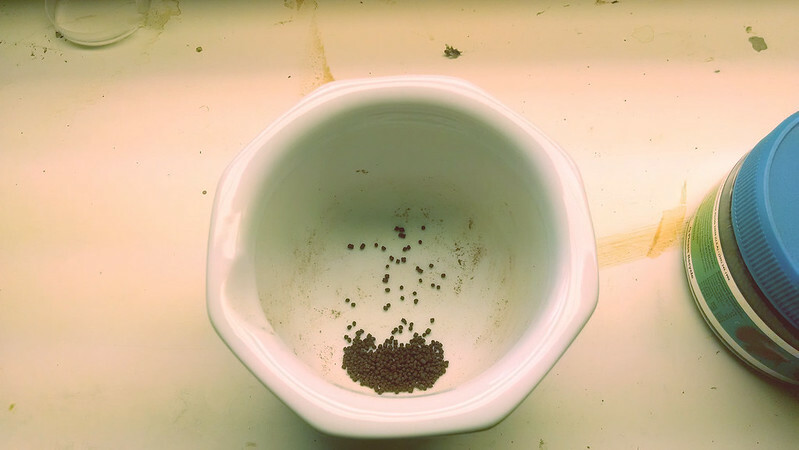 I've tried the slurry-and-pipette method from this video from Grow Sundews, but I didn't really care for it. I don't know if my pipettes were of poor quality, but it was hard for me to control how much food I deposited on each leaf. Today I decided to use just a spritz of water and make a sort of paste that (I hoped) would be easier to portion out and deposit. I also suspect the moisture may make the food a bit easier to digest. I moved the powder to a different bowl, and mixed in just a bit of distilled water. You want just enough water to moisten the fish food powder. 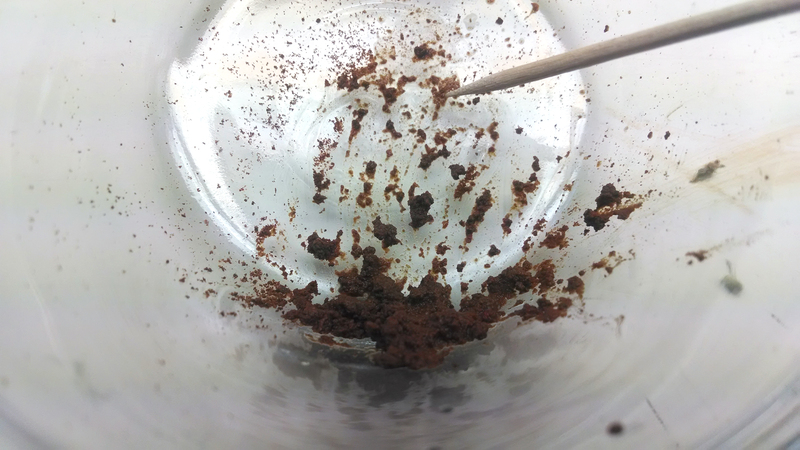 As you can see, the powder has coagulated, but it's not liquid. With some practice I was able to get small chunks of varying size to stick to the toothpick, and then transfer them fairly easily onto the plants I desired. I didn't spill at all, and after 3 or 4 plants I had gotten the hang of it. You want to use a small portion of food, and make sure to place it on the tentacles as much as possible. In general, you should feed in proportion to dew production. More dew means the plant can probably handle more food. My favorite plants to feed, bar none, are my D. burmannii seedlings. I never worry about over-feeding, and they react very dramatically to the food, both in terms of trapping response (leaves and tentacles move quickly to start eating) and the growth spurts they get afterwards. Check out these next two pictures. 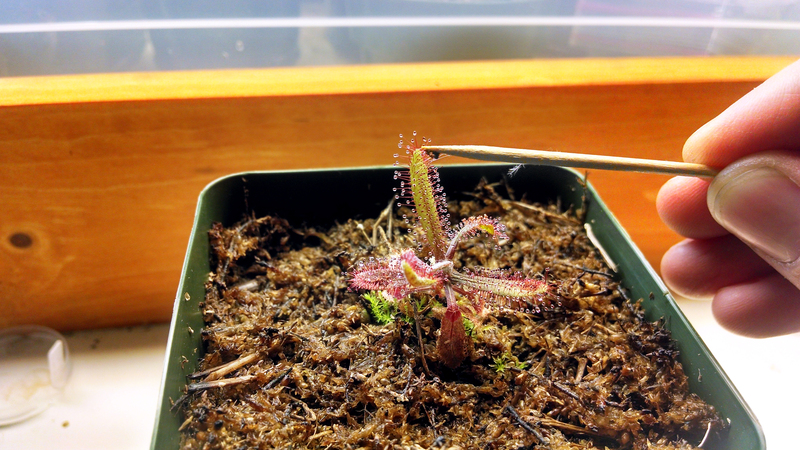 Drosera burmannii immediately after being fed. The same D. burmannii about a half hour later. Chomp! I'm pretty sure D. burmannii is my favorite plant in my collection, at least at the moment.